As you'll see from our history, from its earliest days Freemasonry has been concerned with the care of orphans, the sick and the aged. This work continues today. Masonic charity is exercised at every level: Loyal Travellers Lodge make gifts and gives aid to our own community whilst Warwickshire Province also gives large sums of money to regional causes. For more information click on the sub-menu on the left. 2016 £ 937 (No Ladies Nights were held by the Master of the Year). £438 to the Province 2023 Festival Appeal. £475 to the Edwards Trust, Collected at the lodge Ladies Informal Dinner. £134 to the British Legion Poppy Appeal. £180 to the Salvation Army. £1,100 to Magnolia House. Collected at the lodge Ladies Informal Dinner and subsequent 'Burns Night'. £200 to the St. John Ambulance Service. The Worshipful Master presents the cheque. £100 to the Knowle Community Fund. £438 to the Warwickshire Masonic Benevolent Fund. £334 to MFest (300 year anniversary appeal of Grand Lodge of England). £173 to the Warwickshire Province 2023 Festival Appeal. £164 to Sleep Easy (YMCA). Collected at the lodge Ladies Informal Dinner. £144 to the British Legion Poppy Appeal. £177 to Fast Aid First Responders. £155 to the Warwickshire Masonic Charitable Association 'Famous Five' charities. £650 to the Birmingham Children's Hospital. Collected at the lodge Ladies Formal Dinner. £219 to the Warwickshire Masonic Benevolent Fund. £ 50 to Hope House Childrens' Hospice. £157 to the Warwickshire Masonic Charitable Association 'Famous Five' charities. £164 to Prostate Cancer UK. £157 to the British Legion Poppy Appeal. £ 73 to the lodge Almoner's Fund for subsequent distribution. £285 to the Warwickshire Masonic Charitable Association 'Famous Five' charities. £300 to the Solihull Churches Action on Homelessness. £623 to the lodge Almoner's Fund for subsequent distribution. 2014: The charity collections during 2014 realised the sum of £2,144. 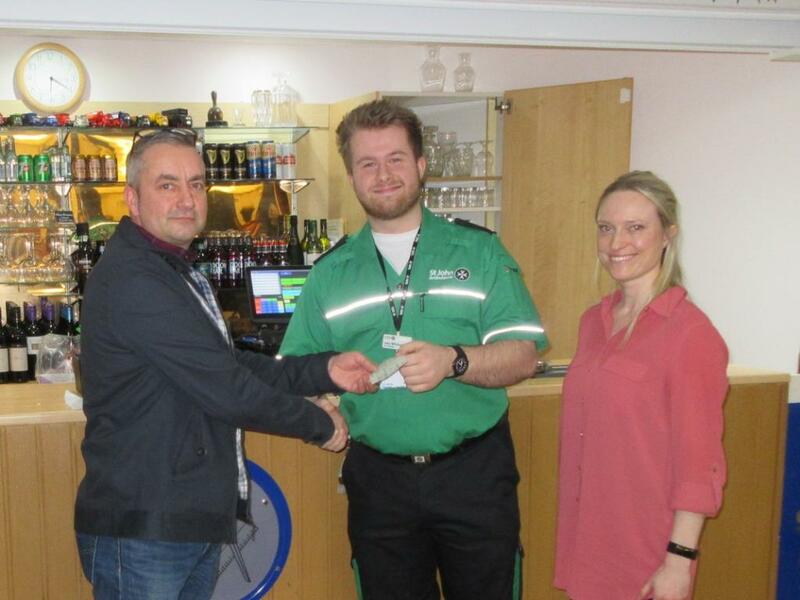 Of this amount £895 was raised at the ladies informal evening in April held at the Knowle Masonic Centre and the Ladies Formal Evening in December held at the Birmingham Motor Cycle Museum in Solihull. From these two occasions £440 was donated to “Help for Heroes” and £585 to “Macmillan Cancer Support”. £593 to the Warwickshire Masonic Benevolent Fund for distribution to other charities. At the January 2014 meeting the charity collection was directed towards the Mayor of Solihull’s chosen charities, primarily Age Concern Solihull and the Citizens Advice Bureau Solihull. This was presented to him with the associated Gift Aid as a cheque for £260 by the Worshipful Master, the Charity Steward and the lodge Secretary.